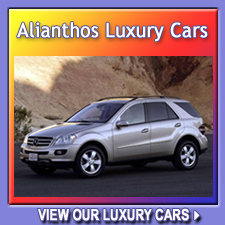 Alianthos Rhodes Car Rental prices are the lowest on the market while at the same time include a variety of rent a car services FOR FREE. For these services other companies will either openly charge you or hide the additional cost till the end of the day. Valid national or international driving license is required, issued at least one year before the beginning of the rental period. 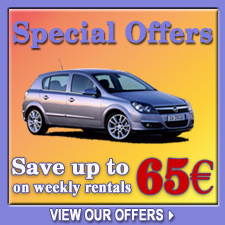 Tickets and attached administrative sanctions resulting from any violation of the Greek Traffic Law during rental period burden solely the renter. In order to keep any costs and losses incurring from those events, e.g. towing fees as low as possible, Alianthos is entitled to pay all fines and fees in the name of and behalf of the tenant, and to collect the expenses from the tenant in any appropriate way. Gasoline consumption is paid by the renter.